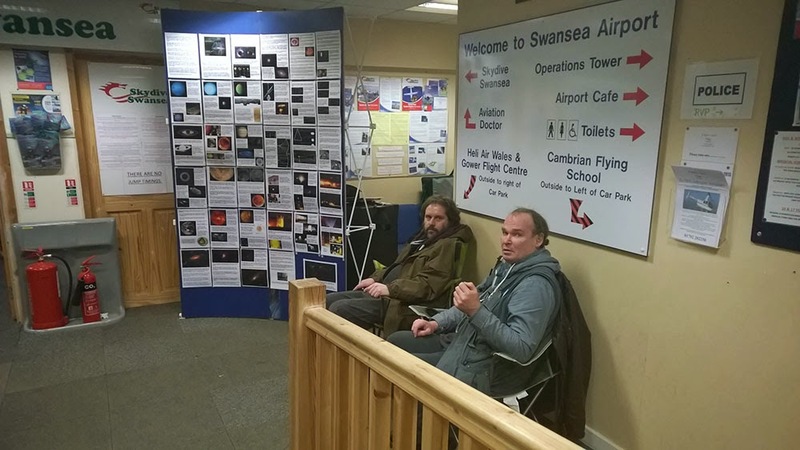 Despite poor weather there was a reasonable attendance at the Society's final Star Party of the season, which was held at Swansea Airport. 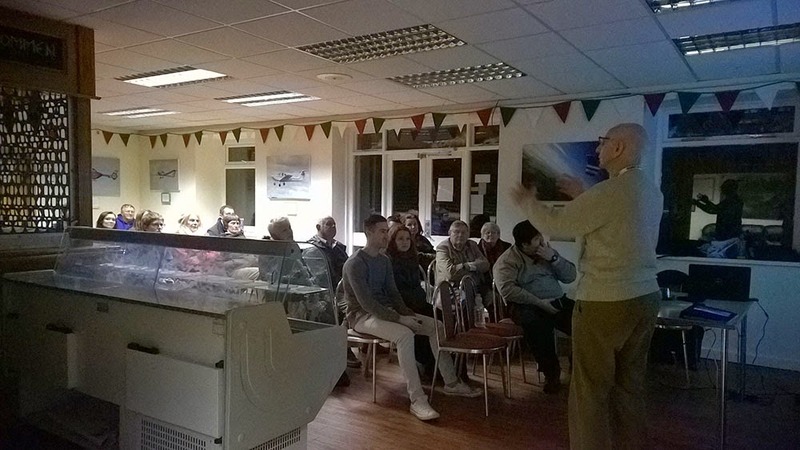 Brian Stokes gave one of his customary talks and Society members answered questions on a variety of astronomical topics. 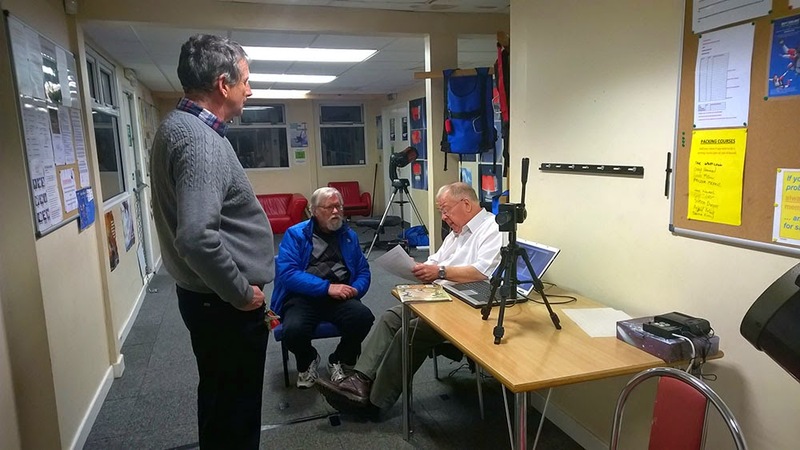 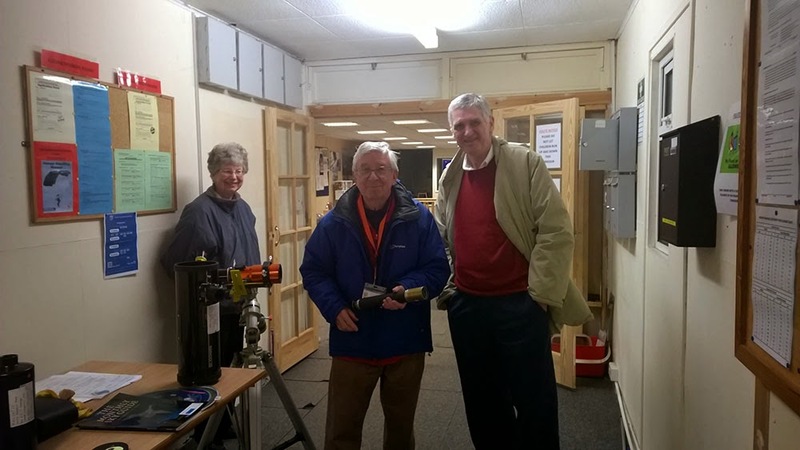 There were also a number of different telescopes on view, Derek Francis had his video camera on display and Andrew Sprott had his display stand on show.